1. 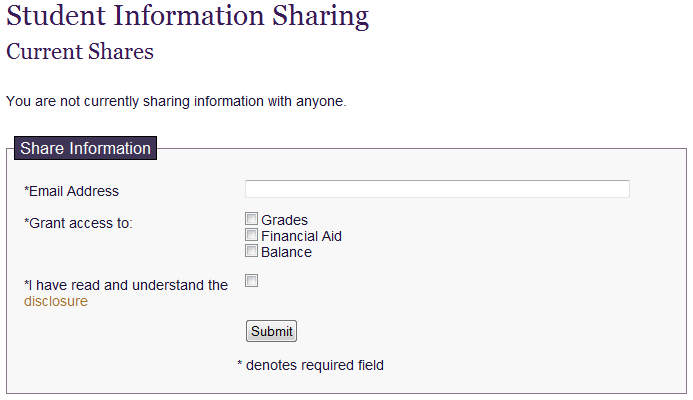 Go to https://secure.cornellcollege.edu/student-records/sharing and login. 2. To share Information with someone, type in their email address, click the box(s) for the selected information you would like to share, read and check the box for disclosure, and click submit. 3. If successful, you should see the email you just entered with permissions to your information. They will receive an email with a password and a link to view the information. 4. If you don't want a person to view your information, click Revoke (in red). If successful, you will see a box at the bottom that says Revoked Shares with the email address of the person you removed. 1. 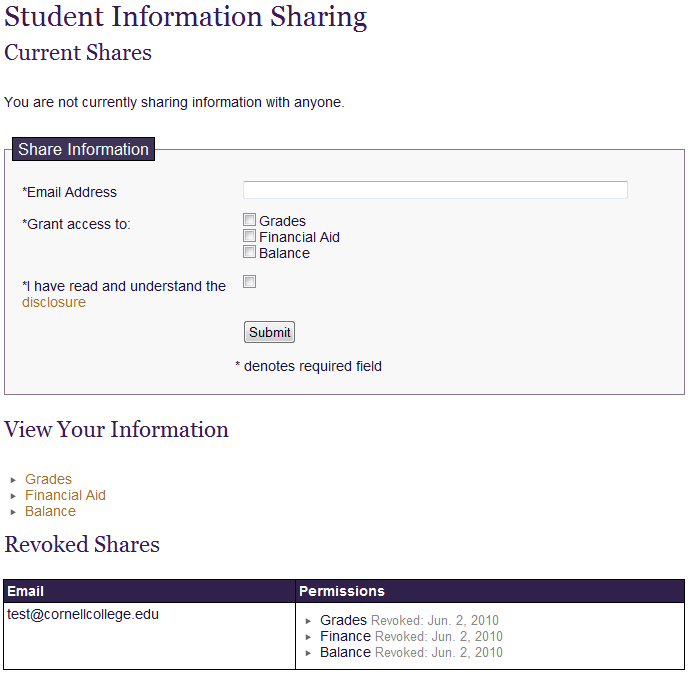 Go to https://secure.cornellcollege.edu/student-records/sharing and login with your email address and the password provided in the notification email. 2. To view student information, click on the link for the specific information you are interested in. The student's information will open and you can view it. Remember to logout when you are done. 1. 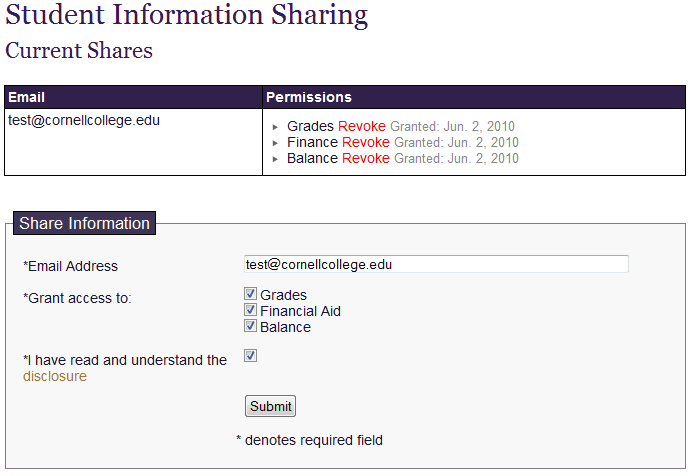 Go to https://secure.cornellcollege.edu/student-records/sharing. Type in your email address and click Forgot your Password? 2. Re-enter your email address and click Reset Password. You will receive an email with your new password.